Solar Eclipse a phenomenon: Should we worry about safety of our kids? On Monday, Aug. 21, 2017, all of North America will be treated to a view of the eclipse of the sun. For those outside the path, you will still be able to see a partial solar eclipse where the moon covers part of the sun. Michigan falls into a 70-80 percent partial eclipse range, Carbondale, Illinois — a college town of 26,000 is preparing to become the ‘Solar Eclipse Crossroads of America’. Solar Eclipse a natural phenomenon has been explained mythologically, and scientifically in different cultures with emphasis on angry or quarreling Gods. These myths and legends embed fear and superstition; provoking kids, and teens to challenge them. What does this mean to us as parents? The fact that kids and teens are curious, and rebellious by nature, and might not adhere to the safety rules listed by family members who love them. Hence to assist you in your venture to keep your family safe, here are some facts that can trigger important safety discussions at the dinner table; helping kids understand the importance of eclipse glasses and handheld solar views. Protect your child’s eyes by : listening to the experts, and using eclipse glasses or viewers that are compliant with the ISO 12312-2 safety standard. These glasses are safe for kids to look at the uneclipsed or partially eclipsed Sun for as long as they wish. “How to view a solar eclipse”,2017 gives detail safety tips, and information regarding a list of manufacturers, and authorized dealers of eclipse glasses and handheld solar viewers (“How to view a solar eclipse safely”,2017,para.3 and para.4). 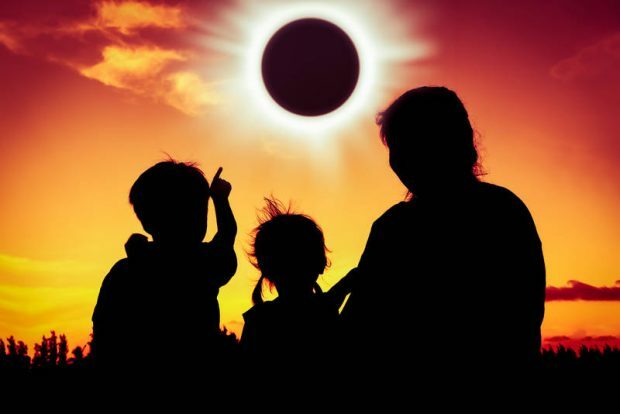 Even today some cultures consider solar eclipse a bad omen affecting kids mindset, and their safety. Let’s educate our kids with the facts, and the need for safety precautions; allowing their curiosity to take full flight. What is In-Home or Family Childcare?